Today we introduce to you Yana Isaeva, born January 25th, 1992, in Bulgaria. She is a Politologist. A: I became part of the Rotarian family 10 years ago as a member of the local Interact club. Back then I was a president of the town’s student council. A friend of mine, who knew me very well and also knew that I am interested in contributing to the community, told me about Rotary and suggested me to visit a meeting as a guest. Of course, once I attended (it was a love from a first sight), I never left. My friend, who became my sponsor, later on told me, he saw the leader in me and he was sure I will develop that skill in the Rotarian family. Quickly after Interact I became a Rotaract member and through the years I was on all board positions including President in 2015/2016. Looking back now, I can say that I met his expectations. 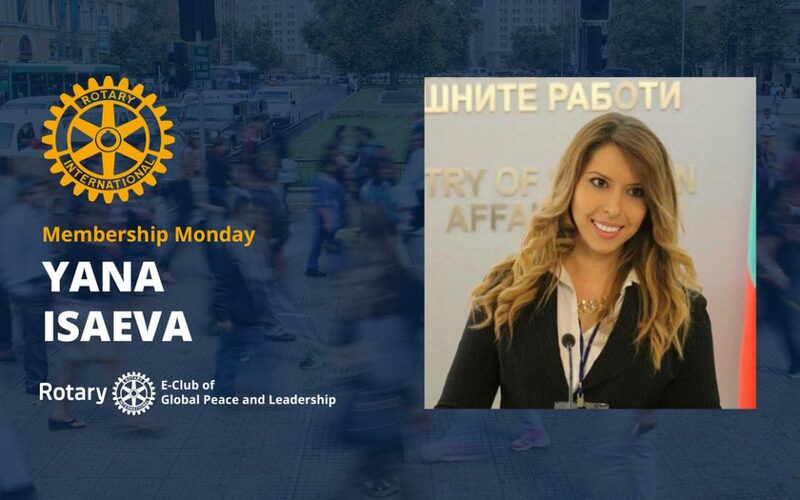 A: It was a hot summer in Bulgaria back in 2016, when Rotaract Global Model United Nations was held in Sofia. My Rotaract club of Sofia-Serdika was the host club and one of our members and good friend of mine was the Director of the edition. To be honest, I became part of the organizing team at the last minute, but the 6 days that followed turned my perspective of life to 180 degrees! Very intense schedule, no sleep for 144 hours and friendships that last forever pretty much sums it up. A life event to remember! A: Volunteering provides us with a unique, non-routine way to apply our skills for the benefit of others or society at large. Through volunteering I became a meaningful part of the world. There is no other energy in the world as the one we gain by sharing our love and caring for others. 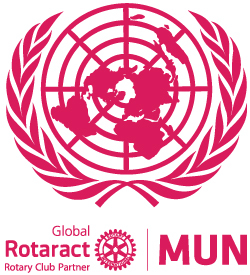 A: Honestly, now when I think of it, I can’t imagine my life without Rotary. My world would be empty. All the friendships from all around the world; all places I have visited with Rotary; all the people I have helped in the years; all the personal development I have reached through Rotary… if all that is gone, then I will be gone too.